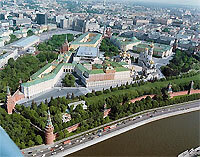 (Interfax – ST. PETERSBURG, June 21, 2013) President Vladimir Putin harshly criticized the Cabinet’s road maps to the implementation of his decrees of May 7, 2012, but “has repeatedly made quite high assessments” of the Cabinet’s overall performance, said the president’s chief of staff. “It’s not only civilian agencies that Putin criticized but also security agencies that report directly to the president,” Ivanov said. When the Kremlin started receiving plans of what the government was going to do in putting the May 7 decrees into practice, “the first reaction was extremely negative,” the chief of staff said. Ivanov also mentioned Putin’s demand for making the plans public.